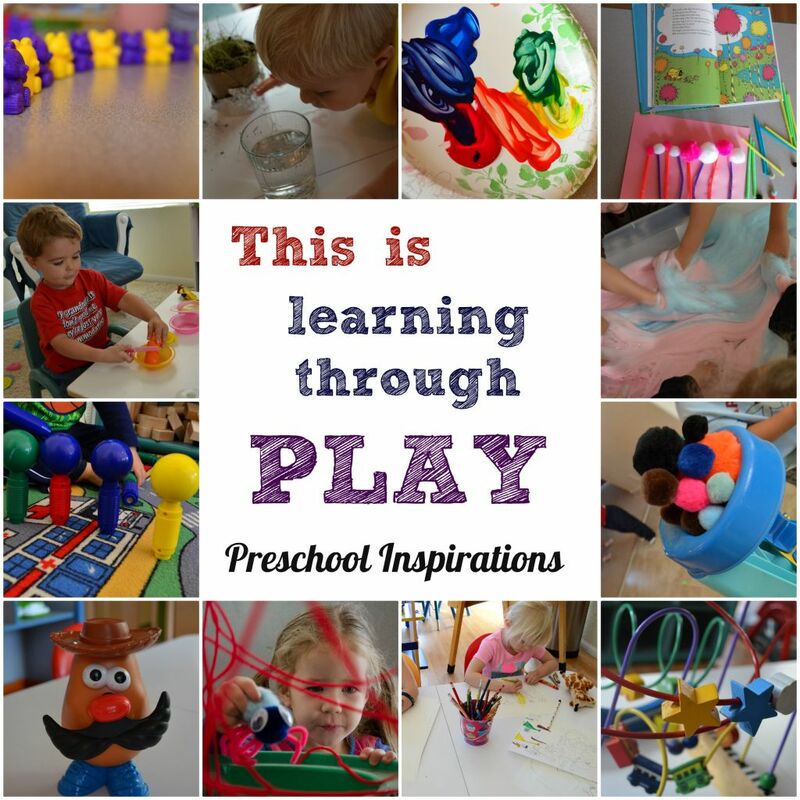 Learning through play may seem like casual play, but the truth is that it is an art! What is the role of the teacher or adult? Don’t get me wrong, I learned about it in college, but it’s one thing to read about it and another to see it working in action. I have always worked for preschool programs that have honored and implemented learning through play, but it wasn’t until I started my own program that I could fully embrace it and see the long-term results of a play-based curriculum. I have a licensed preschool in my home, and I have my kiddos for a couple of years which allows me to see growth that I would have never experienced in just one year or with a class with high turnover. My eyes have truly been opened to the incredible impact that learning through play makes! 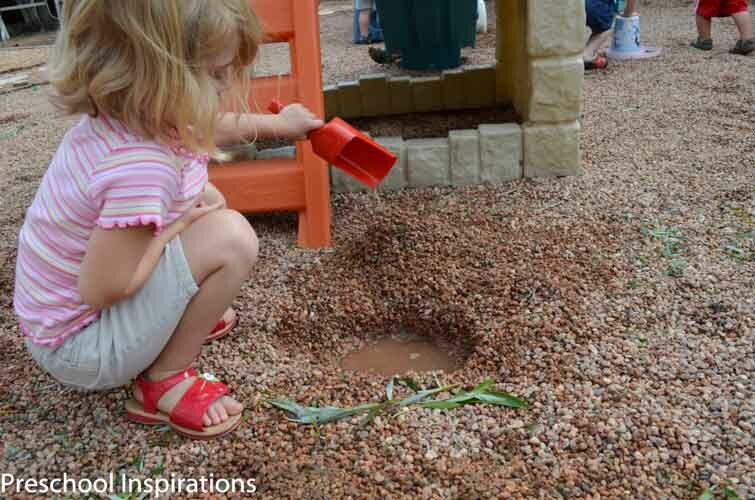 Play-based Learning: What is learning through play? The truth is that all I am doing is facilitating. I don’t have an academically rigorous program, and worksheets are a rare exposure. Each child is learning through hands-on activities that she is interested in, and I am there to provide creative outlets, guidance, and ideas for new learning opportunities. Perhaps one of the hardest aspects about play-based learning is that it is not a manual you can find on a bookshelf. Instead, our play-based curriculum is developed in the minds of my students and myself. We let creativity, ingenuity, and our interests be our guide. 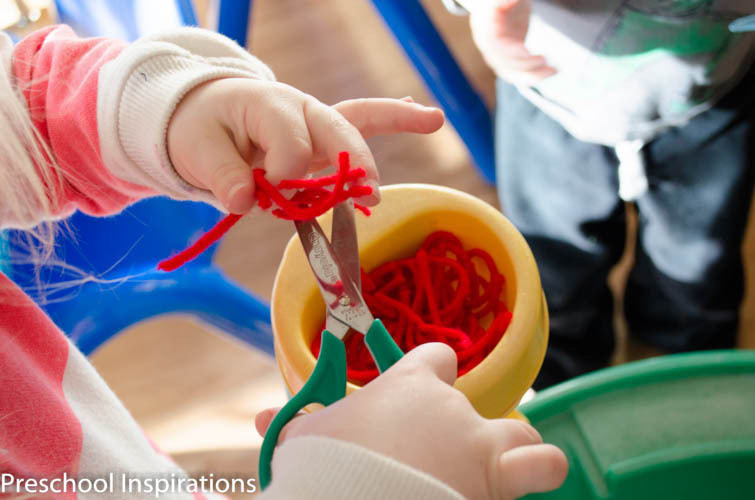 Learning activities in my preschool are designed for children to engage in independently and to meet the child’s abilities right where he is at. We do not have a checklist of things to do each day that I have downloaded or purchased. Instead, our activities and plans are solely based around our specific needs and interests. Our schedule is predictable to provide security and routine, but it is flexible to allow for growth and creativity. You can read more about the five most important aspects in making a schedule. There are weeks that Sarah wants to cut paper each day, for an hour a day, and I am here to support her and make that available to her. Some days David wants to play in block area for 90 minutes straight, and I am mindful of the fact that he is experiencing deeper levels of processing and understanding as I give him the opportunity to experience this. I respect that all children are natural learners, and to me that means that learning is at their core. My very important job is to draw that out and to let the child explore and engage. I believe that learning through play does not look one specific way. Each teacher and each classroom will exhibit it differently. It’s an experience of growth and observation. There are times that I have tried to put learning in a box, and the end result was frustration for all of us. I am sure there will be lots more learning on my part in the future too. That is the nature of learning though — it is constantly a work in progress. Now I want to invite you to see how learning through play works in my classroom. I feel there are misconceptions about play-based learning. When many people hear the term, I believe they think that it is a “free for all” with screaming and craziness. They picture children throwing blocks, kids fighting over toys, and little ones bouncing around the classroom like a loose ball in the pinball machine. While I have walked into classrooms where this happens, that is not play based learning. Those situations are just what they seem to be: chaos or damage control. The best way I could describe my class is that they are focused. 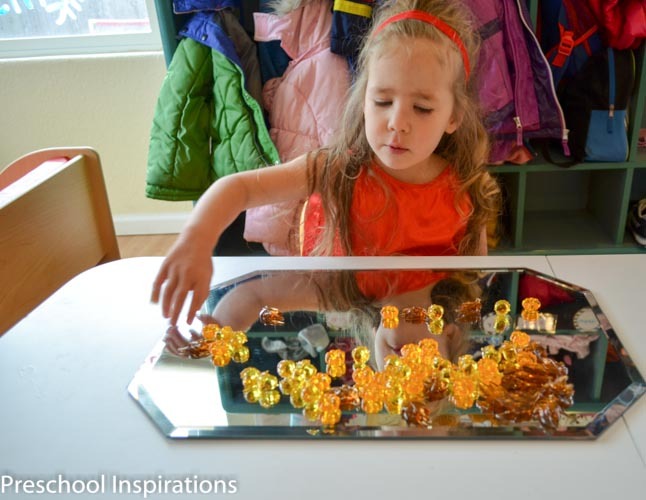 They are fully engaged in activities, experimenting with mixing liquid watercolors, lining up gems on a mirror, engineering Elsa’s ice castle, and practicing the roles of parenthood. There are moments where our classroom is silent and also moments of great excitement. I implement large group activities, circle time, and teacher-directed instruction, but for the most part, they take the reigns. I spend time in each area listening to what each child has to say and ask. There are interactions where words are not even constructed. Instead, I am glancing over the shoulder of a masterpiece in the making. Play-based learning is thought out and planned. The classroom becomes a map, and each area is a learning destination. It is designed in such a way that a child can take the lead and direct his or her own path. Of course, it can still be spontaneous. 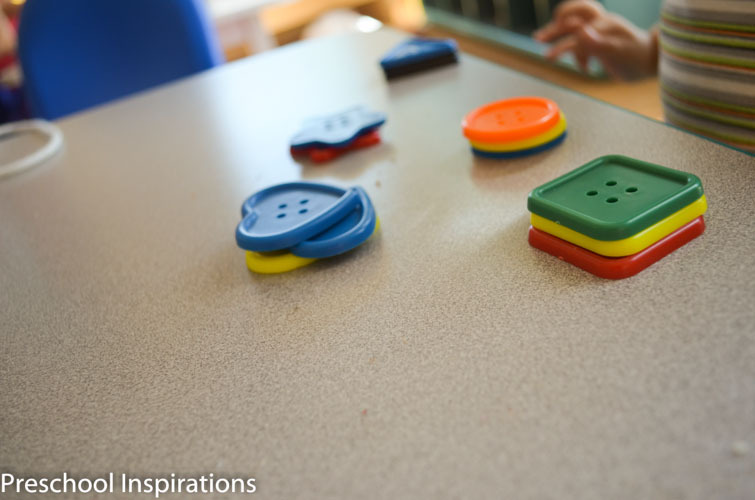 Some of the greatest moments in my classroom are created through a moment of ingenuity, usually on the child’s part. I am amazed each and every day by my class as they are usually the more creative ones who inspire me. For some activities, I give clear and detailed instructions. Overall, I encourage creativity and a sense of accomplishment. My learning centers are available to a child for an extended period of time or even for a short snippet. The longer I have a child in my program, the more likely they are to engage in one area for a lengthy time. Some will work on the same activity for up to an hour straight. My own daughter literally spends 3-4 hours drawing each day. Play-based learning involves a lot of observation. You can liken the teacher to a scientist. She/he is observing the class and using those observations as tools. Observation is a teacher’s guide as well. It is our way of seeing what is going on behind the scenes. At times, it gives us glimpses of children that we would have never been privileged to see had we just been the ones leading the activity. As we use observations as tools and our guide, it helps us provide more enriching ideas or materials to explore. In some instances, these observations might even be telling us that a certain child is overwhelmed or overstimulated. Observations should be regular to be effective. While the word “observation” might sound intimidating, it’s truly not. My observations take place through the lens of my camera in the classroom many times. I love to go around and snap pictures of our activities then take spend time analyzing them once there is a quiet moment. Life with little ones is action-packed, so those snapshots are precious with stories that I unfold. Whether a face has that golden smile or a deep gaze, they both convey important messages. Observations can take a deeper form. If you look closely, you can find glimpses of who each child is. To know a child well includes close examination to temperament, tone of voice, body movements, and facial expressions. I love knowing my class so well that their cues tell me everything I need to know! When Jason gets silent, I know he is highly enjoying and involved in what he is doing. He doesn’t want to talk about it though; he just needs to experience it. Oftentimes, observing is manifested just by listening. The more we listen to children, the better we pick up on their inner thoughts, their excitement, their hesitations, their hurts, and their frustrations. My favorite place to listen is when I see children in dramatic play or while outside. Children convey a lot when they are pretending, and this is also a vital time for them to process events they have experienced, whether good or bad. Have you noticed how children love to practice something over and over and over again? My son loves to do the same puzzles constantly. When he was about two years old, he would spend around an hour taking the same puzzle apart and putting it back together. He would do this 10-30 times in a sitting. When a child is in a mode of repetition, they are processing information and learning far more than we give them credit for. My son was not just working on a puzzle, he was deepening his ability to problem solve, to distinguish shapes, to sharpen his memory retrieval, to bring cohesion out of disorder, to practice fine motor skills, to complete a task, and more. While it might be easy to disregard repetition or perhaps to find it annoying even, repetition is foundational and extremely important. For this reason, I give my class large chunks of time to play. I believe that children learn so much more when they have periods of uninterrupted play. We certainly keep a routine with outside time and meals, so playing has to be paused. Sometimes our play spans over days even, and we will keep a project in block area intact for the entire time. What Are These Children Really Learning? 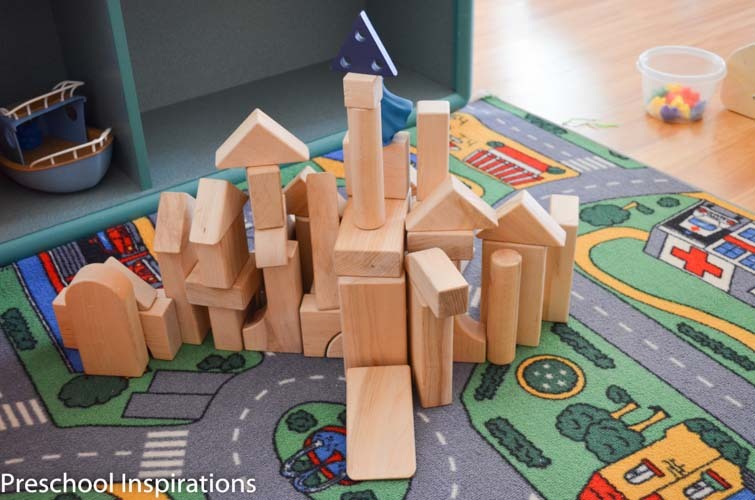 From my experience though, I find that children who learn through play process concepts at a deeper level, so when these concepts emerge, they have taken a huge leap. Their learning is in strides instead of through baby steps. They understand that the number 12 is a matter of quantity, that it is more than 10, that we have 12 pennies when we combine 9 pennies with 3 pennies. They aren’t memorizing to learn, they are learning to understand. So how do you know if you’re learning through play the “right way”? As I mentioned earlier, it is going to look different in every setting because every child and class has different strengths and interests. While there is no one way to do it, I use child development principles to guide me. Is it child-centered, meaning, am I providing activities that they can use independently which they are drawn to? 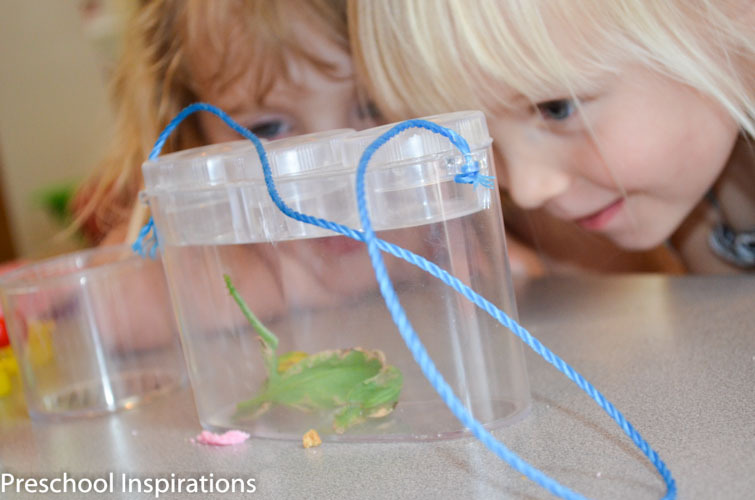 Do the children use materials to discover, engage, and grow? Am I providing a setting that is inviting and encourages children to use materials purposefully? Are there activities that stretch them without causing frustration? Are children able to complete tasks in the time frame I give them? Am I available to them? Overall, am I building a passion for learning in these little minds? This is a great article for the professional and the parent. Thanks so much for taking the time to give an excellent insight into learning through play. Thank you so much for the kind comment, Donna! It is my hope that more and more children will be learning in stress free environments with parents, teachers, and caregivers who step alongside them with what they truly need. It is a pleasure to have you visit. Hi Katie! It is so nice to see someone who thinks and acts like me.I am teacher like you but unfortunately my economical position doesn’t let me to do all what I wish about children. I hate classes under the pressure of plans. Human being like freedom in their area.But our life style force us to forget about freedom.Everything is planned and boring in our life.I am sure that children will adore the place where they do what they like instead of doind something that their parents and teachers want.Thank you for this nice job.:-). Katie, you have a real understanding of what is gained by “learning through play “. Thank you for sharing your insight. Beautifully said. I will be sharing this with the parents in my family child care program. It’s such a pleasure to have you as a visitor, Willow Street Schoolhouse! I appreciate you sharing this, and thank you for your commitment to young children. Happy learning to you all! Wow, Katie. This post really speaks to me. I am encouraged reading this, and feel like the pendulum may be shifting back towards developmentally appropriate practice in preschool and away from making it into kindergarten for 4-year-olds. Keep up the great work. That gives me the biggest smile, Stephanie! Thank you for being such a great advocate for play-based learning :). Wonderful article, Katie! It can be so daunting trying to explain a play-based program and you have done it eloquently. I agree with you, I wish there were more classrooms like ours out there. I understand the hesitation, though. It took me nearly 10 years of teaching and a professional wake-up call to realize that I really could create a play-based, emergent, interest-driven curriculum. Thank you so much, Marie! Sometimes I wish I could go back and observe my former classes again. I was CLUELESS in the beginning about what children were processing. Thankfully they were learning even while I was unaware. Your program sounds incredible, and I am so glad you are impacting the lives of children! Wonderful description of Play-based learning. I love your ideas and would love to see how this could be implemented on a much smaller scale. My preschool classroom is probably less than a 1/4 of the one shown in the above pictures, so leaving projects multiple days, or having a lot of individual-based activities simply can’t be done. Space is absolutely nice to have, CJS. I hope you find some inventive and creative ideas for your area. Sometimes I find that challenging situations give me the best ideas. I wish the same for you :). What a wonderfully written article – it is so hard to articulate to parents about Play Based Learning… you have done your work justice. Thank you, Su! I hope so many parents find this helpful. It’s hard to navigate through the numerous programs out there, so I hope it helps more people see the importance of play. This post is truly amazing and informative. I am homeschooling my preschooler and although we have certain things I want her to learn and do I never push if she is doing something that she is really engaged with. Your post helped open my eyes even more and for that I’m much appreciative! Susen, that means so much to me! I’m also constantly broadening my horizons which is allowing me to see more and more about how children learn. They are truly amazing. I LOVE this post! I am a huge advocate of play-based learning and you did such a great job of explaining it! I am so glad that you love it!! Thank you for all you do for young children :). This is a fantastic article that I find very informative and encouraging. I plan to share it with my felllow teachers and the parent of my students. I appreciate that so much, Tracey! The power of play is amazing :). I love this post so much! Play based learning can take so many forms, as long as it’s done intentionally, as you’ve so beautifully described. 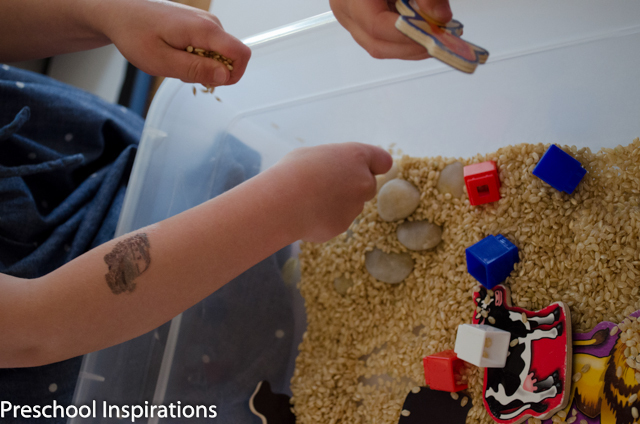 Thanks so much for linking up to the Play Matters blog hop!! I’m a big believer in the importance of play-based learning. It seems that children are often not giving enough opportunity to learn through play now-a-days. I really tried to push it as much as my administration would allow when I taught Kindergarten. Now that I’m going to start to be on the hunt for a preschool for my son, I’m definitely going to be looking into schools that are play-based. Thanks so much for sharing! You give me hope for the future of our children and early childhood education. Every day I feel we must prove how important learning through play is – just as you have described it . Thanks for giving me strength to keep going and not give up. You are so kind, Marti!Thank you for all you do for young children! As a childcare provider I feel children are already overloaded with academics and not enough childhood memories. 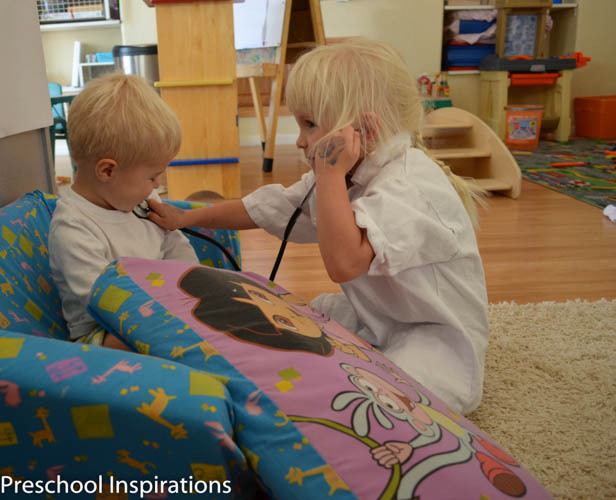 The play based learning has been a stress free education for children to learn at their own pace. No, things don’t run smoothly 100% but most of our days are filled with independent and group play. As an observer and guidance children are able to solve, plan and corporate play in a positive atmosphere. 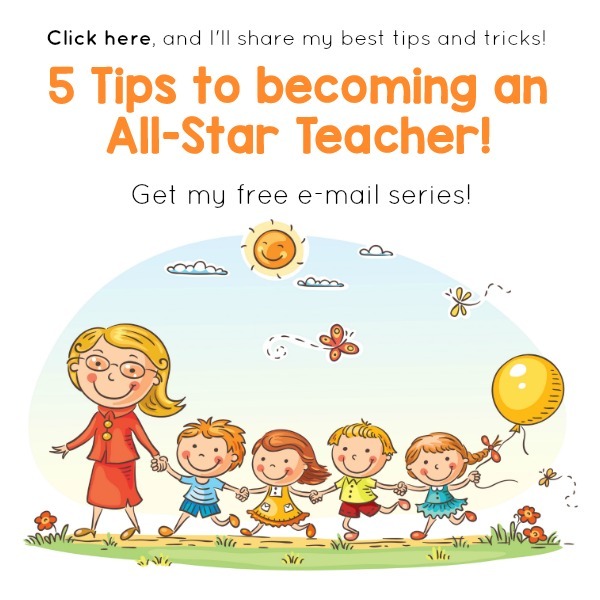 I will enjoy your site for more ideas to incorporate in my childcare.